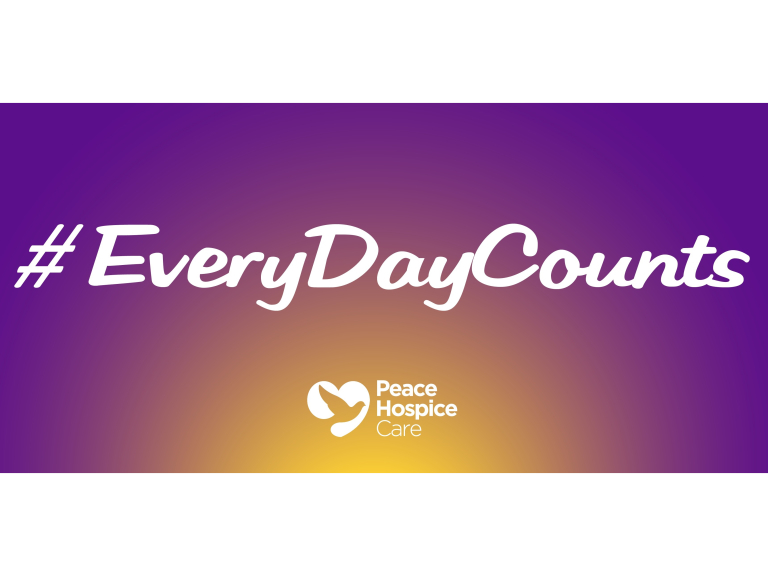 Peace Hospice Care announces the launch of its #EveryDayCounts campaign which aims to raise awareness about the importance of speaking about death and dying. The campaign is being launched during Dying Matters Week (14th -20thMay), a national awareness week promoted by Hospice UK, the national voice for hospice care in the UK. The campaign invites members of the local community to answer the following question: "What three things are on your bucket list to do, experience or share, and who with, before you die?" Anyone interested can contribute their responses by post, email or via social media, via written text, photos, videos or any other medium they are comfortable with. More information is available here and via the charity's Facebook, Twitter and Instagram pages. Speaking about the campaign, Jackie Tritton, Director of Patient Services and Quality, said: "As a society we tend to avoid talking about death but it's an inevitable fact and we really need to be much more open about it. It's only by doing that that it can become the norm and we can help to ensure more people have their wishes for life and death looked after. We all want to live as well as possible and to, when the time comes, die with dignity. I do hope this campaign will get many more people thinking, and talking about this, and expressing their wishes." The #EveryDayCounts campaign will run until October and help to highlight the importance of talking about death and dying including expressing wishes, writing wills and care plans. During the week the charity will also be hosting Advance Care Planning Workshops for those with life-limiting illnesses, supporting them in expressing and defining their wishes for their future care.